In the quest to realize artificial photosynthesis to convert sunlight, water, and carbon dioxide into fuel—just as plants do—researchers need to not only identify materials to efficiently perform photoelectrochemical water splitting, but also to understand why a certain material may or may not work. 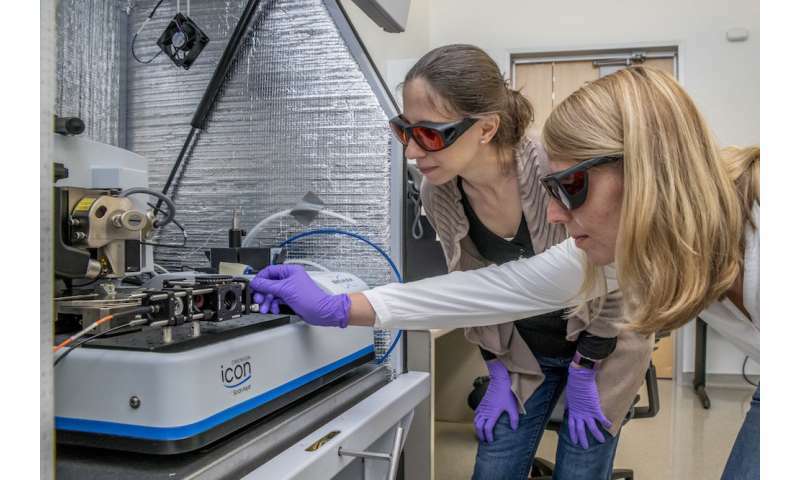 Now scientists at Lawrence Berkeley National Laboratory (Berkeley Lab) have pioneered a technique that uses nanoscale imaging to understand how local, nanoscale properties can affect a material's macroscopic performance. "We discovered that the way charges are utilized is not homogeneous over the whole sample, but rather, there's heterogeneity," Eichhorn said. "Those differences in performance may account for its macroscopic performance—the overall output of the sample—when we perform water splitting."